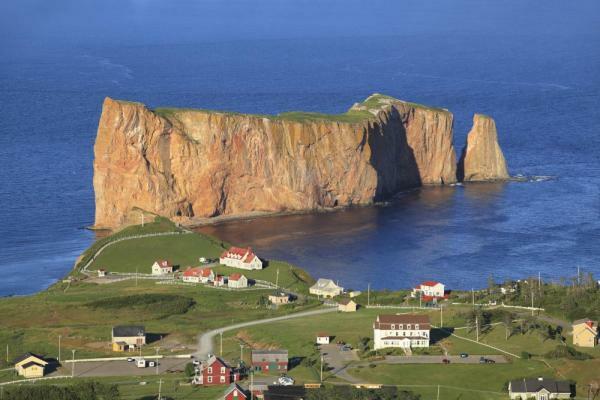 Circumnavigate the island of Newfoundland on this 8-day cruise and explore the outlying islands of the Canadian Maritimes. Discover the region’s intriguing Norse history, get a taste of Acadian culture in charming island towns and special dining experiences, and see the strange and beautiful landscape of Gros Morne National Park. Arrive in St. John's and embark the National Geographic Explorer this afternoon. Enjoy dinner on board and meet your fellow travelers. 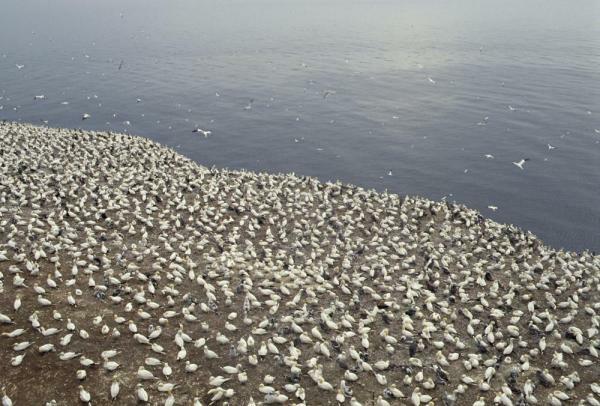 Your first landfall is St. Pierre, France’s oldest remaining overseas territory. Explore this picturesque French fishing enclave where you can stop at a scenic whale watching lookout and a French-style graveyard. 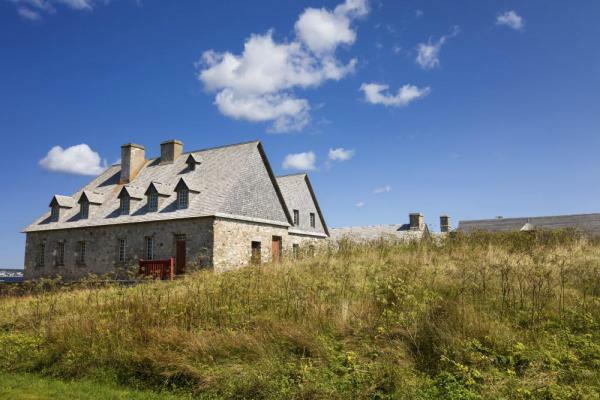 Today visit the reconstructed Fortress of Louisbourg, an 18th-century fort where the British and French fought. Later, visit the village of Baddeck, where Alexander Graham Bell built his summer home, now the centerpiece of a beautiful park and museum. Explore the life of Bell with his great grandson, Gil Grosvenor, former president of the National Geographic Society. Enjoy an optional “white glove” tour of the Bell Museum and have the opportunity to hold historic artifacts. A cluster of wispy islands isolated in the Gulf of St. Lawrence, the Îles de la Madeleine are home to miles of dunes, grassy hills, and dazzling red sandstone cliffs. Local experts guide you by Zodiac across this landscape of caves and sea arches, stopping along the way in colorful fishing villages as you learn about Acadian culture. Weather permitting, end the day with a bicycle ride. 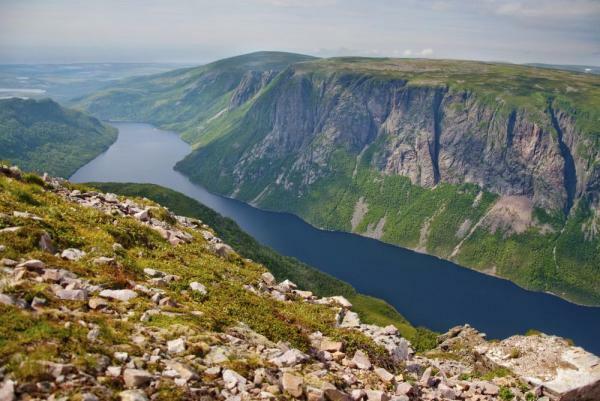 Graced by cliffs, fjords, and a sweeping alpine plateau, Gros Morne National Park has been designated a UNESCO World Heritage site for its spectacular geology. Go on a variety of walks with your ship's naturalists along waterfalls, marine inlets, and forested trails. Learn about the forces that shaped this land and the ancient serpentine rock that illustrates the phenomenon of plate tectonics. 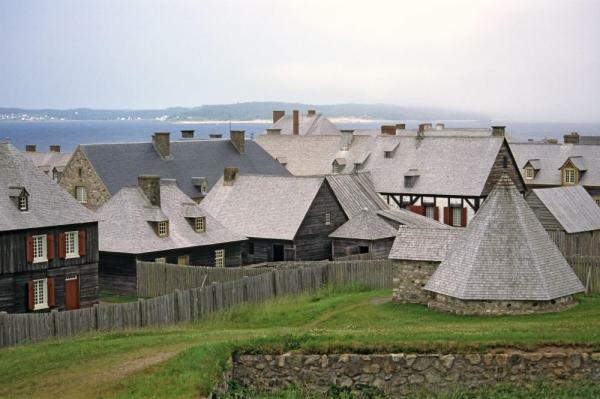 In the World Heritage site of L'Anse aux Meadows, walk among 11th-century Norse ruins and reconstructed sod huts and learn the saga of the Vikings in North America - nearly 500 years before Columbus arrived. Wild, rugged, and often accessible only by sea, Newfoundland's east coast is dotted with tiny fishing villages tucked into coves. Explore these stunning shores by Zodiac and kayak, and gain insights from the ship's experts into the island's people and wildlife. Sail to St. John's, the picturesque capital city of Newfoundland and the most easterly point of North America. Visit the colorful waterfront and historic Signal Hill or the Rooms Museum before transfering to the airport for your flight home. The National Geographic Explorer is a state-of-the-art luxury expedition ship accommodating 148 guests in 81 outside cabins. It is fully stabilized, for cruising polar passages while providing comfort. Main Deck with window. #317-320, 335-336. Main Deck with Window #313-316, 321-328, 337-340,342, 344, 346, 348, 350. Upper and Veranda Decks with Window. # 103-104, 107-108, 201-202, 204-207, 210, 212, 217, 226, 228. Upper Deck with Balcony. #209, 211, 214, 216, 218, 220-222, 224. Veranda Deck Suite #101-102; Upper Deck Suite with Balcony #213. Upper Deck Suite with Balcony. #215, 219, 230. C Deck Solo - Cabins 309-312, 329-334. Single cabins with window. Upper and Veranda Decks with Window. #105-106, 203, 208. Travelers under the age of 18 save $500 per person. Final payment is due 130 days prior to departure by Visa, Mastercard, Discover, AmEx or check. 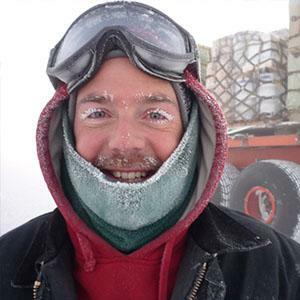 Mystery of Franklin Expedition Ship Solved!